You’ve decided to spend a relaxing break in Paris but you have no idea how to plan your trip? Don’t worry we have prepared a list of ideas in order to give you a perfect break during your time in Paris. If you’ve planned to take a short break in Paris (2 or 3 days), you should divide between 1 or 2 days for visiting monuments and 1 day free time for walks (to serve as buffer time). If you want to visit as many monuments as possible, you will not have time to climb or enter in each of them. Therefore you can either choose 1 or 2 monuments to do absolutely, or get a city tour bus or a river cruise which will take you to all the famous places. Also, don’t forget to consider transportation time from one place to the other. We advised you to have a day with no plan in order for you to have enough time to relax and enjoy the view of Paris by taking a stroll along the Seine or shopping around. 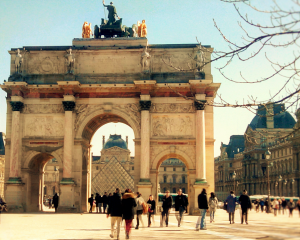 A last chance to capture your last day in Paris before going back home. Check out our packages design for short breaks in Paris. If you are coming for approximately 1 week you can include in your Paris breaks tour, a tour in another region of France such as Champagne, the Loire Valley, Mont Saint Michel or Normandy (D-Day tour). For example, if you are coming 7 days, you can spend 3 or 4 days in Paris, 2 days in day trips, and keep one day as buffer time. Don’t forget that you can combine several day trips together to save time. 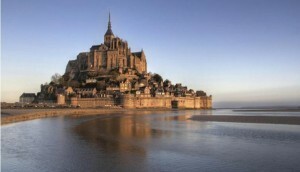 For example: you can go to the D-Day sites in Normandy and the Mont Saint Michel in 2 days. 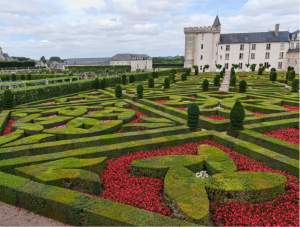 Check out our packages design to explore France from Paris. If you stay for more than 1 week, we definitively advise you to visit other places beside Paris such as the Loire Valley, Mont Saint Michel or Normandy (D-Day tour). For example, if you decided to come for around one month in summer, what we propose you is to divide your time in 3: 1 week in Paris, 1 week for tours in other regions and finally 1 week or more near the beach, in the south of France. Check out our packages design to visit Paris & France. End of January and mid-February, the Asian community celebrates the Chinese New Year with colorful parades and Dragon dances. On 21st June, to celebrate the Fête de la Musique (known as Music Day), free concerts are organized and both amateur and professional musicians take over the city’s streets to perform. On 14th July, from morning to night, France celebrates Bastille Day. There is a military parade on the Avenue des Champs-Élysées in the morning. Don’t miss the legendary fireworks which is the highlight of the day. Booking to secure great seats in specific places should be made well in advance (on a boat, in a restaurant with a view…). 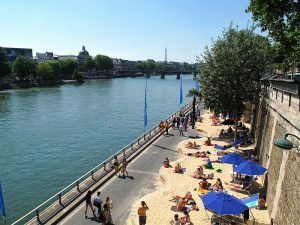 From mid-July to end-August, you can access artificial beaches on the banks of the Seine (Paris Plage). You can enjoy beach volley, ‘pétanque’ fields (traditional French game) or just lay in the sun on the sand. On winter holiday you can have a spectacular view of the Christmas lights and also enjoy the Christmas markets (Marché de Noël). The most famous Christmas markets are in the north east of France (Strasbourg, Colmar) and you should book well in advance. Also there are many ski resorts in the south or east of France for those who want to ski.